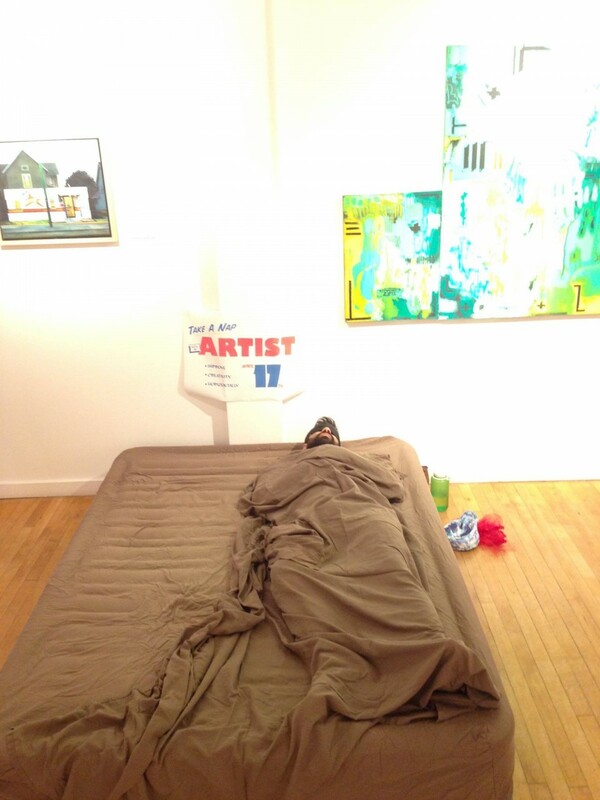 In 2015 I was invited to participate in a happening at the Ann Arbor Art Center, where a group of artists took over what was supposed to be a painting exhibition. I wanted to make artwork that was decidedly not labor-intensive and that gave me an excuse to do something I wanted to do anyway, while still responding to the painting exhibition. The Art Center is a local community center focused more towards craft and is not known to have the most adventurous take on contemporary art. So I decided to take a nap in the gallery and invite other viewers to join me. 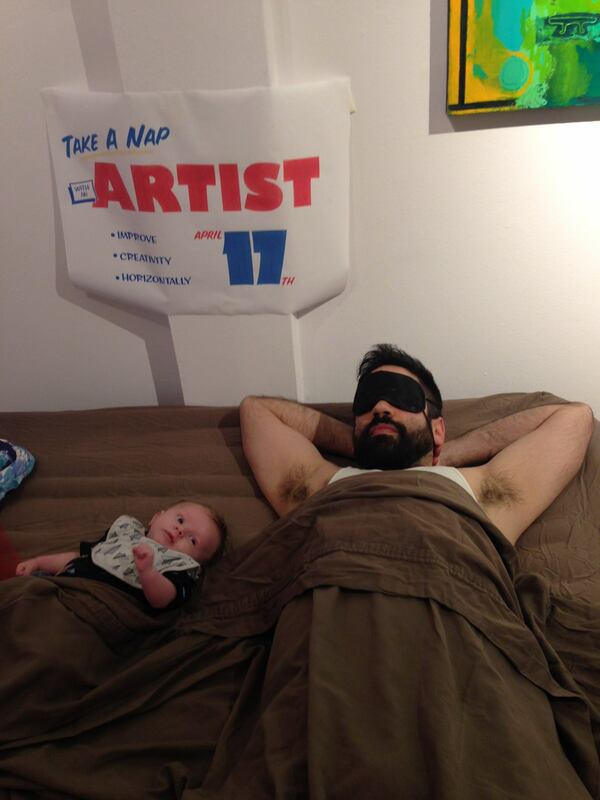 The day of the happening, I bought an air mattress, some earplugs and a sleep mask and arrived at the gallery in my pajamas with a little poster inviting patrons to Take A Nap With An Artist (with the promise that it would improve creativity). I was aiming for a balance between the playful irreverence of asking viewers to do something backwards in a public art gallery and a more serious question of whether to lay down with a young, decidedly masculine, not-totally-unthreatening male artist. The response was great, with a healthy number of people actually climbing into bed with me. I was wearing the eye mask the whole time, so I didn’t get to see much reaction from abstainers, but the secondhand reports I got seemed to indicate a healthy mix of viewers being made to feel amused, dismissive, uncomfortable or regretful at not seizing the opportunity. I’m happy when a participatory artwork can still have an impact on viewers who choose not to participate in the way the artist asks. Read more about this project in Island Thinking.